Early seventies eclectic pop. Epic and Sci-fi, yet personal and with a social commentary. Both modern and retro at the same time. "Empathy" that is sadly missing from much music these days, but the LP's don't shy from speaking out. Jacobs sings like a modern day Marc Bolan and lends a cool vibe to the impassioned lyrics throughout. In fact, many of the hooks will stay with you and encourage repeat rotation. Warning: Earthbound may leave traces of Bowie/T-Rex/Pink Floyd/Lennon/C. Mayfield in your blood. Other side effects may include: Uncontrollable Humming, Chronic Snapping & Clapping, with possible Night Sweats. Finally something with substance. I enjoyed this album very much. An amazing collections of songs which transitions through a diverse array of musical styles and sounds with precision orchestration. From one song to the next, there is a bit of everything in this album and it comes together completely in a brilliantly simplistic, and profound arrangement of songs. 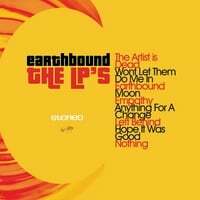 From the erie space sounds in songs like "Hope it was good & "Earthbound", to the bluesy folk riffs in, "Nothing" and "Anything for a change" This album goes everywhere. I especially like "Moon" which is truly a brilliant song that evokes emotion everytime I hear it. The lyrics are cleverly written and insightful. Through each song evolves a philosophy about the human condition and its demise. This album tells a tale from a perspective which expresses a very realistic, cynical and metaphysical perspective on the state of affairs of the human condition. Lyrics in songs like "Anything for a Change" paint an all too real, dysmal picture of the of the blatant hypocracy and narcissism which runs rampant throughout the world. I especially like "Earthbound", which brilliantly expresses both the complexities and the common bonds which all people share. Collectively, each song hold its own piece of the underlying motive of this album. The arrangement is brilliant. Each song comes together and completes the perfect theme. "Everybody's in a human race in the meantime."